When you’re looking for the ultimate way to save money without sacrificing durability or reliability, you need a used air compressor from A & W Compressor. Offering makes and models for any need, we strive to provide a one-stop-shop solution for our customers. Housing experience and innovation under one roof, we can even help yo u select the used air compressor that’s right for your needs. In addition, we provide a total solution to fit your business requirements, by providing everything you need for a complete compressor system and the services to keep it running at peak performance for years. At A & W Compressor, we hold ourselves to an impeccable standard for both quality and service. To this end, our used air compressors for sale are inspected by our experts to ensure they’re fit for service and uphold our tradition of excellence. In addition, we make it our mission to ensure we have solutions for any need and nearly any budget. 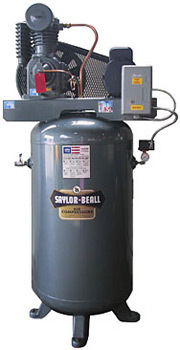 Call or e-mail A & W Compressor today for more information and to speak with a representative about getting an affordable, durable, and reliable used air compressor for you business in Nashville, Knoxville, Kingsport, or another Tennessee city.